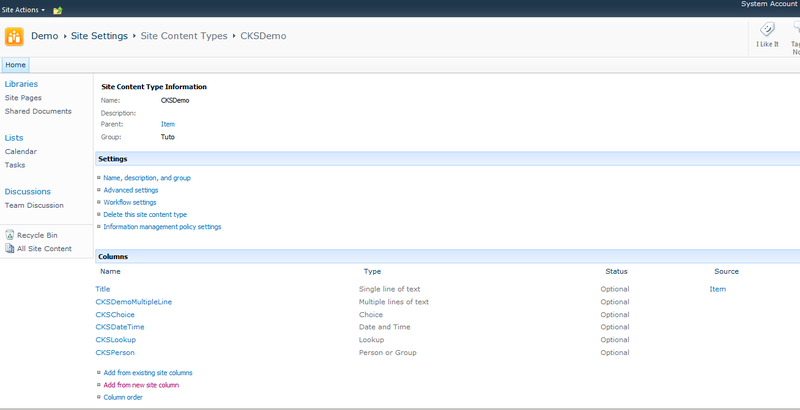 Today I’ll talk about an add-in that I use every day in my developments, namely the CKSDEV. I stumbled upon it almost a year ago and now I can’t do without it! 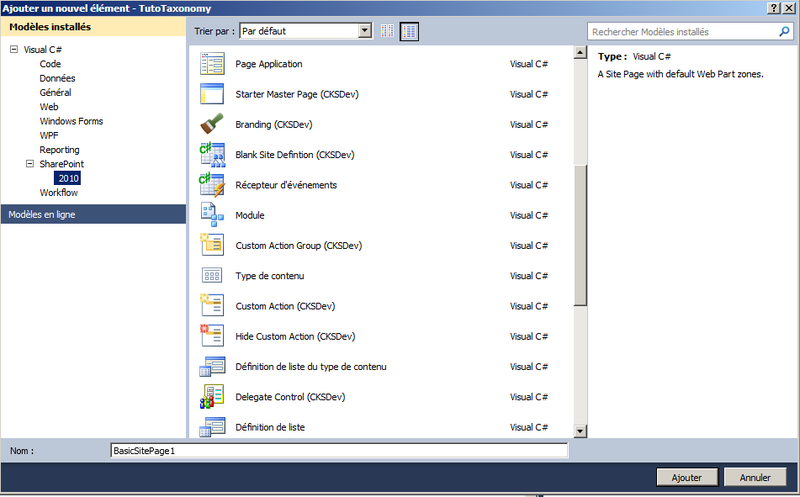 Indeed it adds very useful functionalities to Visual Studio for SharePoint developers. I’m not going to present all the possibilities of this tool for the simple reason that I do not know them all! I’ll tell you about four big features includes in this tools. 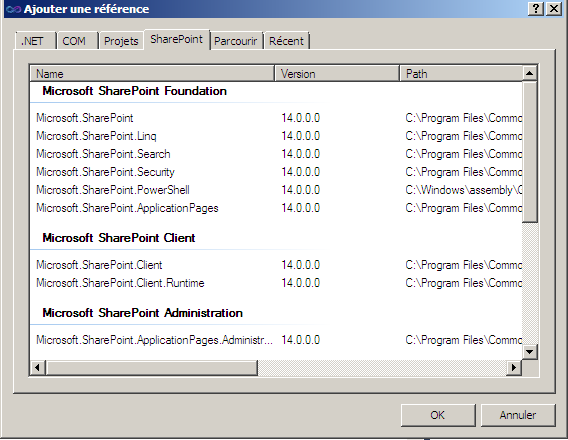 « Copy to SharePoint Root » : will copy all files into the 14 hive (the link is present on all files in the solution). « Copy to GAC/BIN » : allows to update the project DLL in the GAC. 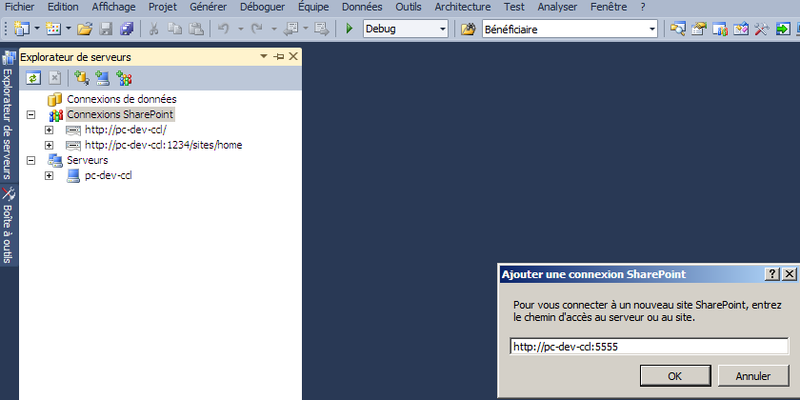 « Attach to All SharePoint processes » : allows to attach to the process to debug SharePoint code. In Visual Studio, add a connection to our SharePoint site. 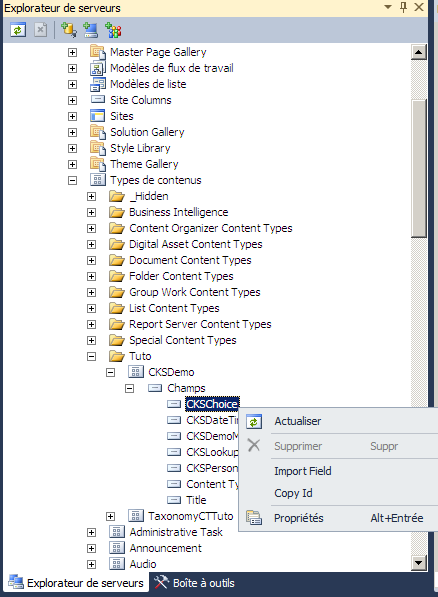 We see a link “Import Content Type” which, when clicked, generates the xml of the content type! If we now browse to the fields of this content type, we can also import them via the “Import Field” button. Link which, when clicked, generates the xml of the field definition! 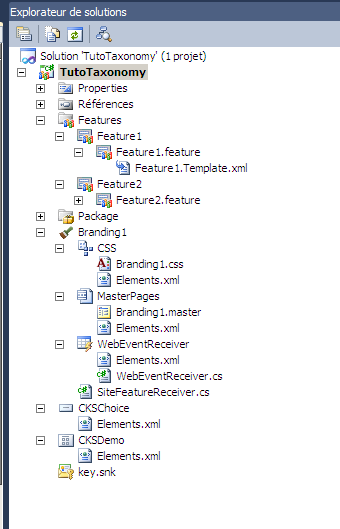 A small addition very valuable when you want to add a reference to a SharePoint dll, no need to go through all the “. NET” and “recent” tabs , a “SharePoint” tab with the dll has been added! Example with “Branding” which, when selected, creates a series of items in our project. A “CSS” module containing the CSS file and uploading it in the “Style Library”. 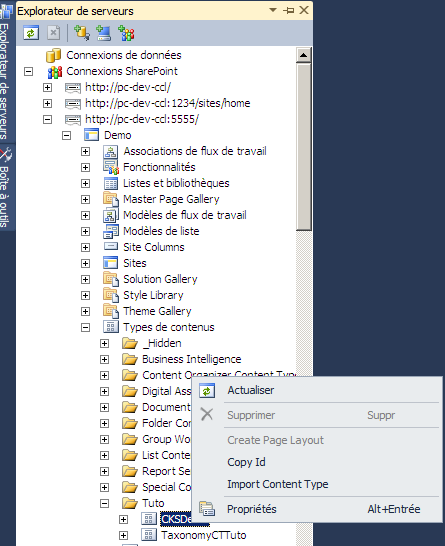 A SiteFeatureReceiver applying customization on all sites of the collection and the site feature associated. A WebEventReceiver applying customization on new sites and the web feature associated. That it, as I said I did not talk about everything but you have an overview of the benefits related to this add-in! A big thanks to the development team behind this project!